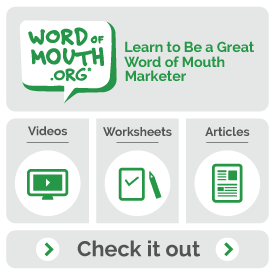 Word of mouth makes people cry | Andy Sernovitz | Damn, I Wish I'd Thought of That! I truly, deeply believe that if you become a worthy company, you will earn the deep love and respect of your customers and fans. This is what you should aspire to be. It’s the greatest thing you can accomplish as a businessperson.